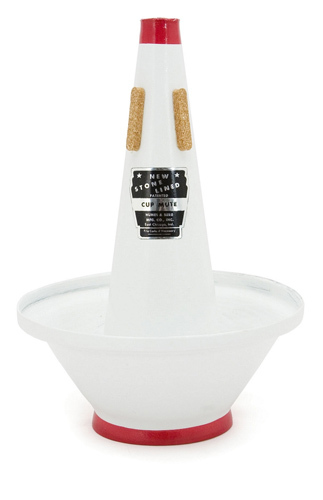 The Humes & Berg Co have been making these Stonleined mutes since 1935. Featuring on countless recordings over the years they are instantly recognisable by the unchanged red and white colour scheme. This Bass Trombone Cup Mute suits all models of Bass Trombone and gives that classic Cup mute sound with good intonation and an even sound. These mutes are high quality and many players use them all through their professional lives.